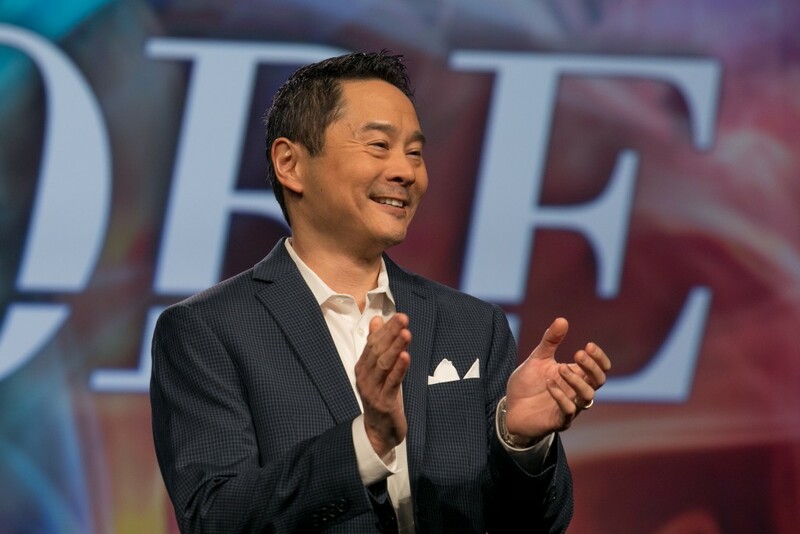 RISMedia’s Real Estate magazine recently had the opportunity to chat with Simon Chen as he transitions into his new role as president and chief executive officer of ERA Real Estate. In this exclusive interview, Chen provides a closer look into several technology and data initiatives at ERA that are designed to transform the traditional real estate market and place powerful tools in the hands of its agents and their customers. Real Estate magazine: How would you define ERA’s culture, and how has it changed from the time you joined ERA? Simon Chen: ERA’s culture is very unique. In fact, when I attended my first regional connections conference just three weeks into the job, I realized that I’d never before been around a network of people who were so collaborative. I remember being blown away by the fact that this one broker got up in front of the audience and shared with everyone how he was spending his money on lead generation, the different lead sources he was using, the amount of leads coming from each, how they converted, and the GCI generated from each source. I was even more flabbergasted when the rest of the room started peppering him with questions before realizing that this one session had a bajillion dollars’ worth of knowledge being exchanged without facilitation from corporate ERA. The culture is so strong within the brand that it’s our job at corporate to bring our brokers and agents together and allow them to collaborate, while letting them be themselves and help one another level up. Our job is to take notes that can be incorporated at the corporate level—give credit where credit is due—and then redistribute the information out to the rest of the network, which has been wildly successful at both the brand and network level. We recently rolled out a new store framework that allows brokers and agents to log into a living repository of best practices that’s constantly updated from across the network. From there, they can either choose to download the information or have it printed and sent to them. In the end, we all benefit when we can do whatever it takes to make everyone better. RE: How important is culture to ERA’s business and relationship with brokers and agents? SC: It’s absolutely critical. We see some of these new culture-forward companies entering the industry, and while they may be hip, it doesn’t necessarily mean they have a younger agent population. In fact, the average agent age is consistent across the board at the mid-50s. 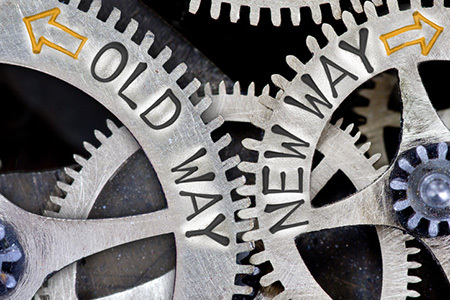 There’s a fatigue in the industry on behalf of consumers and agents/brokerages who are tired of the way things have been done—and anything new is almost a welcome change today. While there’s still a lot of resistance at the moment, we’re beginning to see people wake up and adopt new technologies, new ways of doing business and new cultures. What’s most exciting is the fact that ERA has had all of these things throughout the course of its history. Now, it’s all about reacquainting people to everything ERA has to offer, our collaborative culture, etc. These are all things we’ve stood for over the years and they’re needed now more than ever in order to get past the hype people are getting confused by. RE: What is ERA’s top priority when it comes to promoting culture? SC: Our top priority is getting people to equate ERA with innovation, growth and collaboration. While many in the industry still hold onto old, preconceived notions of what ERA is—and what it stands for—we’re laser-focused on leveraging all that we’ve stood for and reintroducing the marketplace to the new ERA. As brokerages are being handed over to the next generation (Hunt Real Estate ERA, ERA Grizzard Real Estate, Latter & Blum Inc. REALTORS®), we’re experiencing a new dynamic. It’s neat when we all meet up, as we all have different ways of thinking about and promoting culture. RE: How does ERA’s approach to technology set it apart from other brands? SC: First and foremost, we view technology as an enabler as opposed to a threat. As one of the largest real estate companies in the world, we have the resources to leverage the best practices of the highest performing agents and brokers in the network, which has given us the opportunity to build out a lot of these best practices into an automated fashion. Secondly, it’s important to remember that in order to grow your business, you must recruit. While many brokers don’t take the time to recruit—or don’t do it very often—they don’t have the visibility into knowing which agents they want to recruit. As part of Realogy, we have that data, so we can tell brokers how specific agents affiliated with specific brands are performing. From there, the process can be automated through iProspect, which will automatically load the broker’s prospects directly into their CRM so that it’s reaching out to those agents on their behalf. This is leveraging the broker’s time so that they can spend it more intelligently by responding to inbound inquiries, rather than having to reach out to prospects. While Google has taught the industry to not be afraid to fail, everyone should be empowered to go out and innovate. This is a big part of our culture that we’re trying to instill, as it’s this empowerment that will make us all more successful. RE: Are there any specific big bets you’re making for technology in real estate? SC: For us, we’re focused on building out a lot of best practices from a technology perspective so that the system is doing the work for our agents and brokers. By investing in this area as a brand, we have a lot of resources we can steer in that direction, so things are happening at a faster clip than they might otherwise. While leveraging technology to raise the bar within ERA is a key area of focus, we’re working to create more of a user experience for the consumer and agent so that the agent can build their sphere more efficiently and benefit from the modernization of the process. For example, an agent’s website is more than just a place to search for homes; it’s a place where consumers can search, submit an offer, enter escrow and be provided with a 10-year ownership experience. While the industry hasn’t gotten to this place yet, we own this platform and have the unique ability to roll out this type of experience. Not only is it an exciting proposition, but it will go a long way toward tying the consumer closer to the agent, the agent to the brokerage and the brokerage to the brand. RE: How has ERA’s relationship with brokers and agents shifted over the last few years? SC: As part of Realogy, we’re committed to serving agents at ERA. In fact, we’ve experienced a mindset shift within the building over the past few years, which couldn’t have come at a better time, as it should be about the agent and the tools we can provide to make them more productive and more successful. To that end, we’re focused on building up more of an ownership experience on the agent website so that the consumer is more engaged, which, in turn, will benefit the agent. It’s also important to note that we’re constantly thinking about how we can use technology to enable. The point to our technology is that it’s meant to be additive, and what many brokers with limited resources don’t realize is that they need to focus on stuff that’s uniquely them. By leveraging what we have and layering your differentiator on top, your dollars and resources will go further. RE: What tools does ERA offer its brokers and agents to ensure they’re set up for success? SC: Setting our agents up for success is all about reversing the funnel. Let’s take goal-setting, for example. While an agent may be working toward making $100,000, they’re most likely going to lose track of that goal as they get busy with their lives. At ERA, we’re building these goals into our systems, so if an agent wants to make $100,000 a year, the system will tell them everything they need—from the number of deals they need to close to how many presentations they need to give—to hit that goal. Each and every activity can then be tracked in the system so that the agent can see whether they’re on track to meet their goal on a day-by-day basis. If they’re falling short, we’ll provide the tools to help them get back on track. We all need gentle reminders about what we’re trying to accomplish, and we’re working on building technology that will help our agents stay on track—not take over their world.